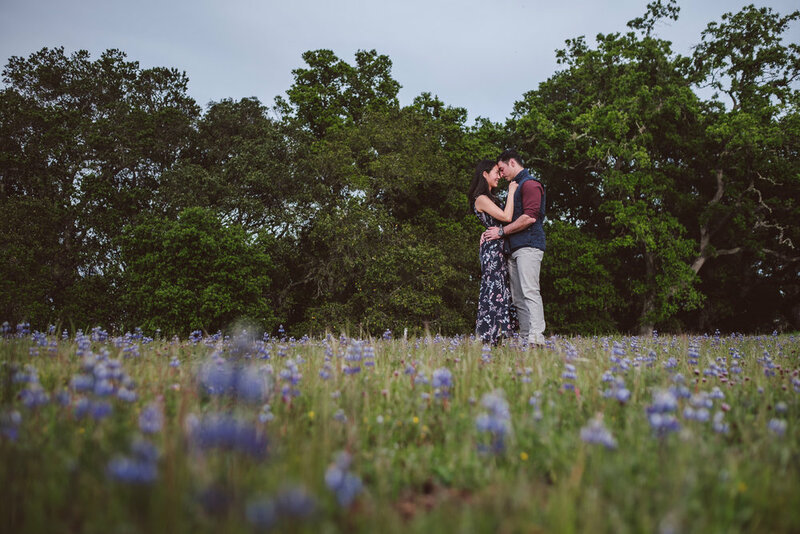 Last month, Lynn and Daniel invited me to their home in the Palo Alto Foothills for their engagement session. Before I even got to their front door, I was greeted by their energetic pup, Koda. 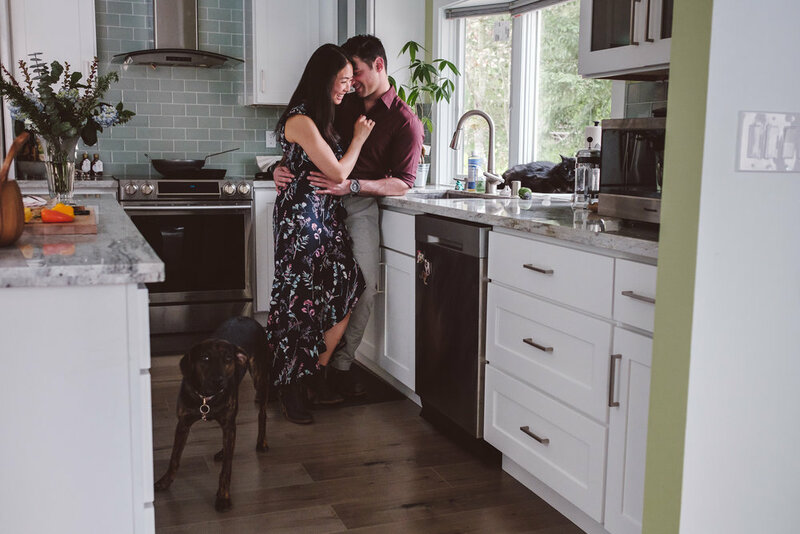 And as I stepped inside their home, I met Lynn and Daniel's other fur baby, their cat Baloo. After some quick dinner prep, Lynn and Daniel brought me to the gazebo in their backyard. En route to the top of the hill, I may have inadvertently fallen and bruised my thigh... But, rest assured, the camera was okay, and that’s what really matters! After spending some time at their home, we took a quick drive up to Foothills Park, where Lynn and Daniel proceeded to put my (nonexistent) hiking endurance to the test. I huffed and puffed pretty much throughout the entire trek, but we did find an epic tree along our route that made the struggle all worth it. Here are some of my favorite shots from that Sunday evening.